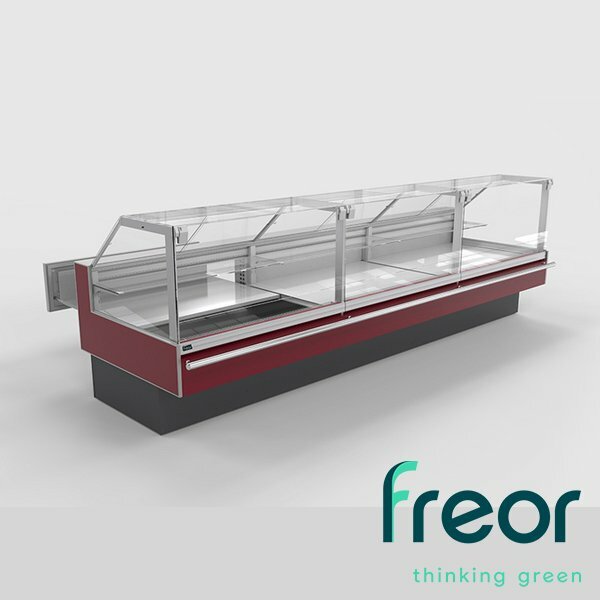 A straight design patisserie display counter with additional glass shelf for attractive display of the chilled sweets, desserts, and pastries. Elegant design, simple lines look great in modern supermarkets, and the sweets are perfectly visible from all sides to attract customer‘s attention. Fan assisted air circulation ensures the preservation of the merchandise. Display deck as a drawer makes it convenient for a store staff to serve the customer. Low glass design Vega QB Pastry LG for self-service is also available.